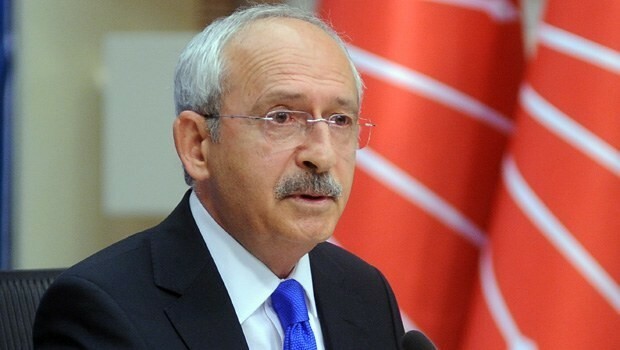 Next week Kemal Kılıçdaroğlu is set to visit Baghdad. As the leader of the Republican People’s Party (CHP), the Turkish main opposition party, Mr. Kılıçdaroğlu is one of the most influential politicians in the Turkish opposition. His visit to Iraq presents a rare opportunity to reestablish interstate dialogue and to put forward the common interests of both countries, one of which is water. Mr. Kılıçdaroğlu’s visit comes at a time when Turkey is experiencing widespread demonstrations closely linked to the preservation of the environment. Simultaneously, Iraq’s civil society is working towards the protection of the environment, especially that which it shares with its Turkish neighbors. Water is of particular interest because of its transboundary implications and opportunities for interstate cooperation. One of the Iraq’s greatest concerns is the construction of the Ilisu dam, on one of Iraq’s most important water resource; the Tigris River which has been started without any serious negotiation with Iraq. Iraq’s civil society and the Save the Tigris Campaign call upon the Iraqi Ministry of Foreign Affairs (MoFA) to include discussion of the Ilisu dam issue in its agenda for Mr. Kılıçdaroğlu’s visit to Iraq. In particular, the Ministry of Foreign Affairs should take this opportunity to remind Turkey of its important economic partnership with Iraq, and affirm that the Ilisu dam is a threat to long term economic development and relations between the two countries. Because the Ilisu dam construction is not yet complete, the MoFA should re-iterate to Mr. Kılıçdaroğlu that its construction must be halted. Till a joint and sufficient evaluation are completed on the impact of this dam on the Iraqi side. The MoFA should engage Mr. Kılıçdaroğlu in a constructive dialogue to identify mutually beneficial solutions to Turkey and Iraq’s water and energy needs. This dialogue should focus on the opportunities for long-term peace, cooperation, and economic development that can exist for both Turkey and Iraq without the Ilisu Dam. Mr. Kılıçdaroğlu visit is also an opportunity to update Iraqi citizens on what steps have been taken by the Iraqi government to protect Iraq’s water resources. Iraqi citizens have witnessed a decrease on water availability over the past several years. The Euphrates-Tigris River water flow has decrease significantly due to upstream water projects in Turkey and Syria. Iraqi citizens are fearful of the negative economic and environmental effects of this reduced water flow, especially drought, desertification, and increased water salinity. Because of these fears, Iraqis demand transparency and urgent action by the Iraqi Government to protect them and the Tigris River from the potential dangers of the Ilisu Dam. Iraqi citizens are currently unaware of the Iraqi Government’s achievements related to negotiations for a transboundary water agreement between the riparian states of the Euphrates-Tigris Basin. Therefore, we urge you to release the most recent information and the results of your efforts to address this important issue. Save the Tigris Campaign is a regional advocacy campaign with partners in Turkey, Iraq, and internationally that works to raise awareness about the economic and environmental impacts of the Ilisu dam on Turkey and Iraq.